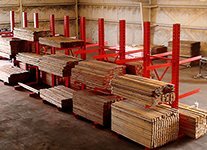 Largest Selection of Used Pallet Racking in the Nation! 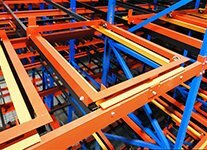 We Offer the Largest In-Stock Selection of Used Pallet Racking & Cantilever Racks In The Country!. We have one of the largest inventories of Used Pallet Rack Beams in the nation. Teardrop pallet rack beams have become one of many industry standards and we have thousands in stock! 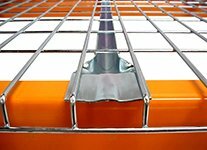 We stocks over 15,000 Used Pallet Rack Uprights available in many different sizes, styles, colors, & capacities. Uprights stored in our over 500,000 square feet of climate controlled warehouse. Store bulky items like piping, lumber, drywall, and more. 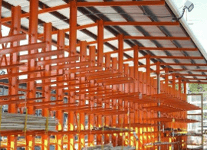 We carry hundreds of sections of “Like New” used cantilever rack systems of all sizes in our warehouse. Cantilever Racks are used to store long & bulky items such as Lumber & Pipes. All Cantilever Rack Systems start with a Starter Bay or often called a Cantilever Starter Kit. 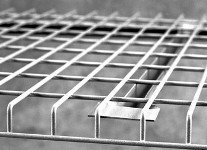 Wire mesh decks are great for hand stacking merchandise on pallet rack systems. They are also great for preventing palletized products from fall between beams. Tens of thousands in stock now! Double storage capabilities by using a drive-in system. We offer thousands of used pallet positions of all sizes and configurations. 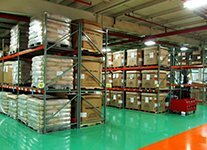 The last-in first-out system enables you to store large quantities of bulk items while eliminating forklift travel aisles. Increase bulk storage capacity in your warehouse while maintaining product selectivity. 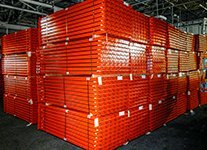 We have thousands of pallet positions of used pushback racks. this includes 2, 3, 4, 5 and 6 deep configurations. 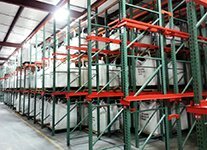 We constantly purchase quality Used Pallet Racking and other related warehouse equipment throughout the nation. This means we may have a liquidation going on now near your facility which could save you big money on freight costs.